Amica Mutual takes the top spot in this year's car insurance review, with GEICO providing an affordable option and State Farm a good choice for higher-risk drivers. But if you are in the military, or are a member of a military family, USAA is the top-ranked auto insurance company in every metric. When it comes to price and value, very few companies can compete with GEICO, which gets excellent marks for their low rates and wide range of flexible plans. They offer discounts for military personnel, safe drivers, good students and multiple policies. Reviews are more mixed for the claims process and the purchase experience -- and some aren't fans of their extensive advertising budget -- but if price is your number one priority, GEICO may be your best choice. There are very few life events more nerve-racking than putting your teen in the driver's seat for the first time. With Esurance DriveSafe, you may be able to breathe a little easier. It does not affect your insurance rate (or your teen's) one way or the other; rather, it helps you monitor and control what your teen does behind the wheel, helping them to develop safe driving habits from the very start. Turn on your TV for five minutes and you'll probably see a commercial for car insurance -- some of which are more entertaining than the shows they interrupt. The reason there are so many ads is because it's very easy for people to change car insurance companies; and when you do, they want you to remember their jingle, spokesman, spokeswoman, or lizard. And you absolutely should shop around for car insurance. What we've learned in preparing this report over a number of years is that once a company has you, they're more than happy to raise your rates, a bit here and a bit there, or maybe even quite a bit. They're hoping you won't notice, won't question, or they're relying on inertia -- that you'll just sort of let things slide and stick with the status quo. Car insurance companies also will not check your premiums on a regular basis to see if changes in the industry or pricing algorithms (which happen with surprising frequency) might result in a lower rate if applied to your circumstances. That means you have to do your own homework. At least once a year, at a minimum, you should get auto insurance quotes. The ideal time to do so is shortly after a birthday, as your age is an important factor in how much you are charged. If you find a lower rate elsewhere, see if your current insurer will match it. Chances are that they will. It costs you absolutely nothing but time, and with the plethora of online quotes sites, it won't take much of that either. One additional warning about those online quotes, though: the initial quotes are generally based only upon the lowest rate that insurer can offer for your geographical location and the type of car you drive. They may not take into account the full amount of coverage you'll need, any add-ons like roadside assistance, and any accidents you may have in the past. Those low rates are a hook to get you to call for a full quote -- which might be higher than that attractively low figure you got when you plugged in just your basic information. The next step is to call the insurer and get the real numbers. So, definitely, call more than one. When you do make that call, there are a variety of factors that will determine what you pay for car insurance. In addition to your location and type of vehicle, that includes your age, driving history, and your credit score. You may also qualify for various discounts, or benefit from bundling -- that is buying other policies from the same company, such as home, renter's, boat, motorcycle, or life insurance. This is the most basic kind of car insurance. If you're at fault in an accident, this pays for the damage you do to others, both bodily and property. All states require licensed car owners to carry some level of liability coverage. A step up, collision insurance covers the cost to fix your own car after an accident, but may not always be necessary if your car is fully paid for and has a low resale value. You can save money if you can opt out of this, but you can only do so if there's no lien on your car. This will cover non-accident-related catastrophes, such as vehicle theft or storm damage. It also covers lesser incidents, such as if a rock flies up and breaks your windshield; however, if your policy has a high deductible, that type of claim might not be worth filing. Not everyone has insurance, even if they should. This type of policy can protect you if you get into an accident with someone who has no insurance -- or not enough -- and lacks the money to pay out of pocket. You may not need this if you have a strong health care insurance plan; in that case, opting out will save you some money. However, if that's not the case, adding on this benefit can pay for injuries sustained in an accident. There are many extras you can purchase as well, often for very little, such as reimbursement for a rental car while your vehicle sits in the shop, towing, or roadside assistance. Of course, any of these will add to your annual insurance premium. For good drivers, smaller companies may be a better bet. Policyholders say these companies offer a more personal approach than big insurers, especially if you form a relationship with a local agent, and smaller insurance companies often are rated more highly. However, many smaller insurers only do business in certain states. They may also be pickier about their policyholders, accepting only those with excellent driving records. If your driving record isn't spotless, big companies are worth a look. National insurance companies typically offer a wider variety of policies, so they can take on riskier drivers -- though your rates will be higher than drivers with a clean record. That last part is especially true of drivers that companies are required to cover under state "assigned risk" programs, which secure insurance coverage for anyone legally eligible to drive, even if they have a very poor driving record. Drivers in military families have additional options. A handful of companies cater exclusively to active-duty military, veterans and their families. Some insurers also offer coverage options and discounts exclusively for servicemen and women. For instance, companies may offer breaks on rates during deployments, saving you from canceling your insurance and creating a lapse in coverage, which can make getting new insurance tricky. You won't see any clever commercials touting Amica Mutual on TV, but its tops in surveys conducted by Consumer Reports and J.D. Power and Associates. Customers say that the company provides excellent customer service and low-hassle claims service, from appraisal to payout, which is a relief for those who have had to use it. The company also offers a rental car option, as well. Amica Mutual offers policies in every state except Hawaii. Customers are happy with the variety of available plans and discounts, although some say it's pricier than other companies. Most policyholders say premiums are fair, but some report sudden rate hikes and we read some reports of policies going up a bit with each renewal -- an amount that eventually adds up. Amica Mutual may be a bit picky about who they insure and you might need to have a clean or nearly clean driving record in order to land a policy with them. If you drive an electric car, you might want to get a quote from The Hartford. It was our Best Reviewed pick last year, and is still a solid choice with solid rankings, Amica merely edged it out this year by a few points. In J.D. Power's two car insurance surveys, Claims Satisfaction and Shopping, the Hartford is well above the industry average in both. It also earns a 90 from Consumer Reports' survey. The Hartford has a particularly wide range of policy option, including one for electric vehicles -- to our knowledge the only company that offers that at this time. This gives car insurance shoppers a great opportunity to save money in more ways than is possible from other car insurance companies. It's also one of only two car insurance companies endorsed by the AARP and offers exceptional pricing and service to the 50+ market. Insurance coverage offered by The Hartford is available in all 50 states. There are a couple of close runners up to Amica Mutual and The Harford in surveys -- and all of them offer coverage in all 50 states. Two of them, GEICO and State Farm, we discuss in more detail below in our recommendations for cheap car insurance and car insurance for higher risk drivers. The third, Allstate Insurance, is new to our report this year, although it's certainly been around for a long time. While a number of the larger insurance companies don't have a very strong consensus across several different surveys, Allstate is closer to the top in more surveys than most. At Consumer Reports the company earns an 88 out of 100, indicating that consumers are "Very Satisfied" with their experience. The top score in that survey goes to Amica, with a 96; however, most of the other companies in that top tier are smaller companies with more limited geographical coverage; we discuss them in more detail below. At J.D. Powers and Associates, Allstate earns an overall score of 864 for claims satisfaction, just below the top tier (again, most of the top tier companies service smaller geographic regions), but above the industry average of 858. Reviews.com makes Allstate an honorable mention, praising the company for the variety of discounts offered, especially in the area of incentives for new cars and new policy holders. Although they do note a few that it lacks, such as a discount for multiple vehicles. Still, this is a company with strong financial ratings that might be a good choice for those who own only one car, have a good driving record, and are looking to change insurance companies due to a rate increase. Another low-profile but highly rated insurer is Auto-Owners Insurance. Coverage is available in only 26 states, but customers say the company offers a smooth claims process and personable service through its extensive network of local agents. Policyholders also say they're mostly happy with premiums and the variety of available discounts, but some complain that plans aren't as flexible as those offered by competitors. Though 24-hour service is available, customers are expected to work with agents directly when they're available, a potential drawback depending on the type of service you prefer. Like Amica Mutual and Auto-Owners, Erie Insurance typically flies under the radar. Customers report high levels of satisfaction with service and claims experiences. Erie also grabs the top spot in a national survey of customers' car insurance shopping experiences, with its local agents receiving above average marks. It's also in the top tier in Consumer Reports' survey, with a score of 94, although some say it is pricier than other options. Erie offers some other impressive benefits that most other insurers charge extra for, such as transportation expenses after an accident, travel costs, personal property and locksmith services. In addition, Erie waives your deductible if you are in an accident with another Erie policy holder. However, the big drawback to Erie Insurance is that it only offers coverage in 11 states, mostly the mid-Atlantic and Midwest. Some of the highest-rated car insurance companies also tend to be pricier than others. If you're on a tight budget, there are a couple of other options that may save you some money. Among those, GEICO stands out in survey after survey for their low cost coverage options. Even people who would like more bells and whistles -- like in-person agents -- say they simply can't find a better rate than what GEICO offers. However, in spite of its relatively sparse number of brick-and-mortar offices, GEICO gets top marks for overall customer satisfaction in several auto-insurance consumer surveys, with a score of 89 at Consumer Reports (under the name Berkshire Hathaway Insurance Group, its parent company) and an 870 in claims satisfaction in J.D. Power's survey -- well above the industry average. In addition to the standard discounts, GEICO also offers some of the best military and government discounts of any car insurance company. Which makes sense when you consider that GEICO (which stands for Government Employees Insurance Company) was originally created to insure government employees. We discuss GEICO's military coverage options in more detail in the next section. GEICO also offers a wide variety of policy options and discounts for non-military members, and the company earns solid financial ratings. GEICO does most of its business online and over the phone and the company's phone representatives earn kudos for their solid customer service. Service is also available 24/7. Progressive is one car insurance company that also does well in owner satisfaction surveys and with experts. It's number three on NerdWallet's list of cheap car insurance companies, behind only GEICO and State Farm (covered below). However, there are quite a few options for discounts and they even provide injury coverage for your pets. Best of all, for those on the tightest of budgets, Progressive has a program called Snapshot that can save you an impressive amount of money on your car insurance -- up to 30 percent -- but only if you're willing to give up some personal privacy. The "snapshot" is a small device you install in your vehicle that records your driving habits for 30 days. During that time, it gathers information from various factors, including when you drive, how much, how you brake, among others, to create an overall picture of your common driving habits. If you meet the safe driver requirements, you can earn up to that 30 percent discount. That could be a significant savings for those on the tightest of budgets. There are other companies that also offer similar tracking programs, but Progressive's was the first, and is reported to be a very good deal by those who have used it. No matter what insurer they choose, military families should always ask whether they are eligible for any special discounts or policy flexibility. Most companies have some sort of special plan for military members, but some are much more user-friendly than others. For example, some companies require more notice than others before deployment benefits can kick in, and some make it fairly complex to fill out the necessary paperwork. For the best, most affordable and flexible coverage for military families, check out the highly rated military-only option first: USAA, or the United Services Automobile Association. USAA scores at or near the top of several car insurance customer-satisfaction surveys, with policyholders reporting positive experiences with claims, from the initial appraisal all the way through repair and payout. They also get kudos for value for the money. USAA car insurance plans are flexible and there are several discounts available, customers say, and not just for being in the military. While it fulfills a niche in the car insurance industry, USAA retains a nationwide reach and strong financial ratings with most major rating agencies. Potential customers should note that USAA only does business online and over the phone, so those who want to build a close relationship with an insurance agent may need to look elsewhere. However, customer service is available 24 hours a day, 7 days a week and USAA's phone representatives get high marks for being helpful and knowledgeable. 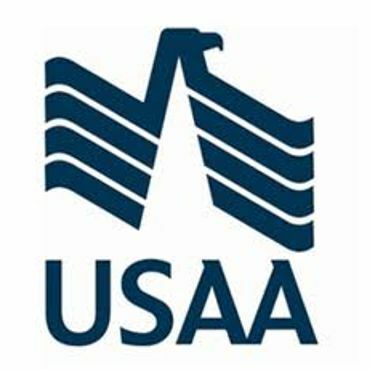 USAA is also a membership-based insurance company, and members get cash rebates in years when claim payouts are low. Most insurance companies offer only coverage for your money -- if you never make a claim, you never get anything back for that payout. Like many auto insurers, USAA makes repairs easy, and maintains a list of approved repair shops -- although customers can still opt for their own choice, as required by law. For an additional fee, roadside assistance, rental car and towing coverage are all available. Unlike most insurance companies, USAA works with their own financing network to offer competitive loan rates and discounts on auto purchases for military members. 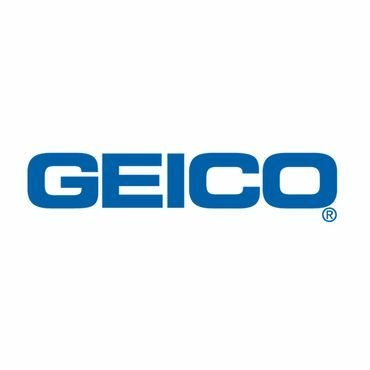 Another option worth a look for military families is GEICO, our top pick for cheap car insurance. One of the largest insurers in the country, and, as noted earlier, initially formed as a subset of a larger insurance conglomerate to service government employees, GEICO boasts a special military program that offers lower rates and special policy flexibility for servicemen and women, including an overseas insurance program for those who are touring or stationed abroad and an emergency deployment discount. Some experts say that military members are actually better off with direct writers, such as USAA or GEICO, rather than agent-based auto insurance for two reasons. First, since military members move a lot, you need to continually sever your ties with one agent in one locality and then find another elsewhere. In addition, military insurance experts point out, agents often earn a commission that may result in higher overall rates for your coverage. In addition, as with any type of insurance, you may get better rates if you bundle your car, home and life insurance, and both USAA and GEICO, either on their own or in partnership with another company, offer a full range of other types of insurance. Many of the top insurance companies are pretty picky about who they insure. You may be denied direct coverage for some or all of the following: A poor driving record, a unique, high-performance vehicle, geography (if you live in a high crime area), your age and the amount of driving experience you have. The good news is that drivers who are in a higher risk category may have the best luck with large companies, and State Farm certainly fits the bill: It's the biggest car insurer in the nation with more than 18 percent of the market, according to Insure.com. Its size means that State Farm can offer a very wide variety of policies and discounts. 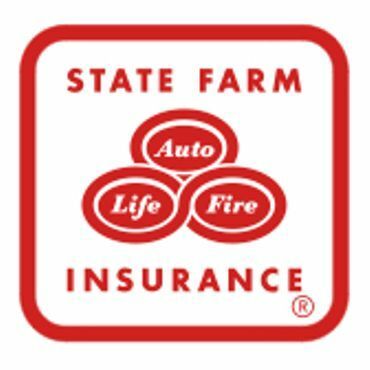 Those looking for a more personal car-insurance experience shouldn't write off State Farm because it's huge, though; the company has a large network of agents nationwide for face-to-face service, and those get great reviews for their knowledgeable and helpful and service. In fact, although direct-service insurance companies can usually offer lower rates, experts say a good agent may be able to maximize your good qualities to help ease your rates down a bit more than an impersonal, online agent would. State Farm fares better in customer-satisfaction surveys than many of its large competitors, with policyholders reporting solid experiences with claims. State Farm has strong financial ratings, too. Progressive, which we discuss in more detail above, offers another solid option for risky drivers. It also maintains an extensive network of local agents and offers a wide range of plans and discounts. Financial ratings are solid. Progressive touts its "concierge level" claims service, although customers report decidedly mixed feelings about their experiences. One more large company worth a look is GEICO. Like State Farm and Progressive, GEICO is big enough to offer enough flexible plans to cover all types of drivers, and it has solid financial ratings. There are few life events more terrifying for parents than putting the car keys into the hands of their beloved teenaged son or daughter. According to the CDC, motor vehicle crashes are the leading cause of deaths for U.S. teens. However, they also point out that most of these accidents are preventable, and ongoing education in safe driving practices is the way to do so. That is why we really like Esurance DriveSafe (Free to existing customers), a teen-oriented safety program we wish was around when we were the nervous parents of newly minted drivers. It's only available to parents who already are insured through Esurance; but it's free to them. The DriveSafe programs is a combination of a telematics device that tracks your teen's driving habits, and a Smart Phone app that will send you alerts if they are engaging in risky driving behavior, like speeding, driving past curfew, accelerating too quickly or other unsafe practices. The DriveSafe program is not like other driver-tracking devices in that it won't affect your insurance rates (or your teen's) one way or the other; rather, if offers an ongoing monitoring for parents to put their minds at ease, while being a very big incentive for the teenage driver to drive in a safe, responsible manner. The tradeoff, of course, is privacy and the indignation your son or daughter may feel when mom and dad decide they need to be "tracked." Those are issues that each family has to settle according to its own rules and dynamics; but if you want a higher level of control in those first years or months your teen is behind the wheel, this is the program to provide it. Having said all that, there still is the reality that teenage drivers need insurance and, because they're considered high risk, it's relatively pricey. If your current insurer will add your teenager to your policy, rates will likely be considerably lower -- they can always reimburse you. There are no companies we found that are better or worse, rate-wise, when it comes to teen drivers, but larger, direct-sale companies like Esurance and GEICO might possibly be new-driver friendlier. In addition, virtually all companies offer good student discounts, which can provide an additional incentive for a new driver to hit the books. And if you do have another car insurance company, you might want to get a quote from Esurance. 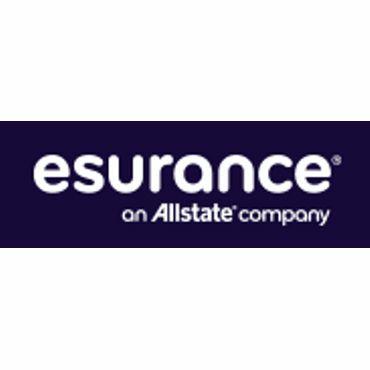 A division of Allstate, Esurance gets fairly middling scores in the two J.D. Power surveys it appears in, but Reviews.com likes it's variety of policy options and discounts and "excellent policy coverage." Esurance also gets a nod as a good choice for cheaper insurance and its willingness to cover higher-risk drivers. Easy-to-reach representatives. Some companies encourage you to use local agents, while others prefer to do business online or over the phone. In either case, you should be able to report an accident and file a claim 24 hours a day, seven days a week. Flexible plans. You should be able to customize coverage to fit your needs instead of being forced into a policy that offers options you don't need or want. A wide range of discounts. Most insurers will knock a bit off your rate for a variety of factors: having a good driving record or owning a newer car with a security system are just a couple of examples. Other policy options. One of the best ways to save money is "bundling" policies, which means that, in addition to car insurance, you may insure your home, life, RV, motorcycle or have other insurance plans through the same company. Solid financial ratings. Several independent ratings agencies regularly assess insurers' abilities to pay claims, but A.M. Best's ratings are considered the most reliable and unbiased. How much coverage do you need? Each state has certain minimum requirements for bodily injury and property damage coverage. It's always worth double-checking the numbers on your state insurance commissioner's website. Most experts recommend purchasing more than the minimum; however, you need at least enough coverage to cover your assets, and purchasing the state minimum is generally only enough to keep you driving legally. If you're on a tight budget, though, that's certainly better than nothing and will keep you out of worse difficulties in the case of an accident. What type of coverage do you need? Liability coverage is required by law of all car owners, but it covers only expenses related to bodily injury or property damage you do to others. If you want your own vehicle covered in the event of a crash, you'll need collision coverage, and if you want it covered for anything other than a crash -- a nasty hailstorm or vandalism, for instance -- you'll need comprehensive coverage. Another major consideration is uninsured/underinsured motorist coverage, which will cover you if the person who hits you didn't pony up for his or her own policy. If you do not own your car outright, more coverage will be required by your lender. Is the car insurance company reputable? In recent years, a plethora of online-only insurance companies have cropped up -- aimed mostly at very-high-risk drivers who can't find insurance elsewhere. Some are highly-rated companies, and are often subsidiaries of larger corporations that specifically handle high-risk drivers. Do your homework, though, if you're dealing with a company that you've not heard much about. Check their Better Business Bureau ratings and be sure they have a solid financial rating as determined by A.M. Best. Also, high-risk drivers should double check the premiums in their state's assigned-risk program. Assigned risk is never cheap, but could still be a better deal than a high-risk policy from a less-than-reputable insurer. Know roughly what you should pay. Figure out whether you're in a high- or low-cost state for car insurance, and check your state's insurance department website for hypothetical rates for customers with similar circumstances. Remember that your credit score may affect your quotes -- if you have poor credit, you could be penalized with higher rates. Compare, compare, compare. Rate-comparison sites such as those at Insure.com, Insurance.com, Netquote.com and Compare.com can help you get several car insurance quotes. Remember to contact other insurers who might not use such tools to see whether they can beat the quotes you receive. Take advantage of discounts. Nearly all major auto insurers provide a variety of ways to save, but be sure to ask for a full list -- they may give you a break for everything from demographics to driving habits to what car you drive. Note that available discounts may also vary by state. Think about a higher deductible. If you can afford to pay more in the event of a crash or other catastrophe, you may be able to lower your premiums by opting for a higher deductible (the amount you'll pay before insurance kicks in). But it's a risk worth taking only if doing so won't put you in a financial bind, experts say. Reassess your situation every year. Your insurer may lower your rate for several reasons: if your credit score rises or if you're driving less, for example, but they won't do so without prompting from you. Tracking programs may be the future of auto insurance. Pioneered by Progressive Insurance with their Snapshot program, these telemetric devices are to cars what the black box is to an airplane. They track your every driving move, from braking, acceleration, speed and more. Then, the insurance company can use that data to give you discounts based upon good driving habits. At this time, they do not penalize you by raising your rates, but many think that these trackers will someday do just that. Right now, only a few auto insurance companies have car tracking programs, but at least one study estimates that by the year 2020 more than 25 percent of auto insurance revenue will be generated by car-tracking-related policies. There are plenty of solid roundups for auto insurance, most based upon customer satisfaction surveys, including ConsumerReports.org (which is available by subscription only), J.D. Power and Associates Claims Satisfaction Study and Insurance Shopping Study, and a roundup at Insure.com. Others are based upon evaluations by knowledgeable experts, such as those at NerdWallet and Reviews.com. Unlike other products we review, there are no specific customer review sites for car insurance companies, but all of the surveys we evaluated were based upon the experience and input of customers who have used those companies' products.